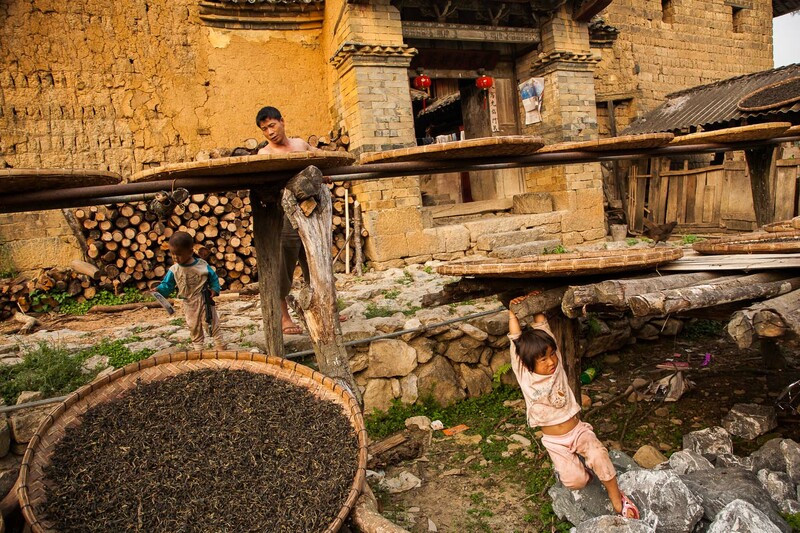 At harvest time in Yiwu in southern Yunnan, a farmer is busy with both family and setting out leaves to dry. From this area comes Puer tea, prized for its earthy taste and perceived medicinal benefits. A cup in distant Beijing may cost ten dollars or more.